A smarter Teams moves in as Skype for Business moves out. 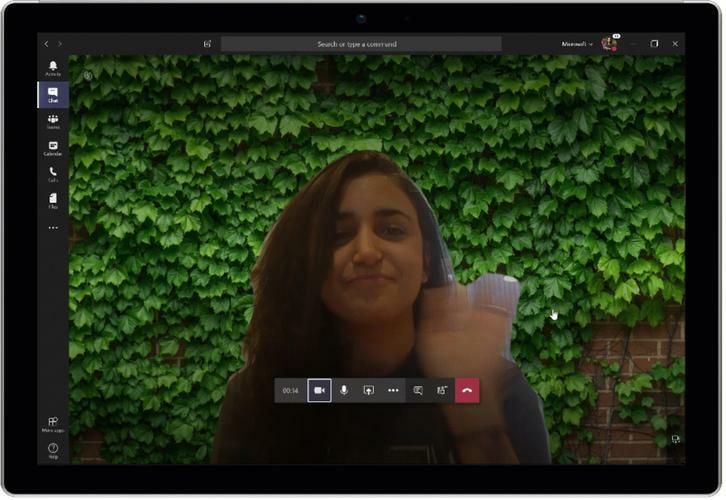 Microsoft Teams is moving ahead in its gradual replacement of Skype for Business, which was once Microsoft’s go-to solution for collaborating via video or text. On Tuesday Microsoft announced several new collaborative features that lean toward business use, especially for those who work in collaborative environments at an office. One of the flagship features—background blurring for remote or home workers—has been beefed up with the ability to select a custom background. Other improvements include better whiteboarding, in both virtual spaces and the real world. When Microsoft Teams launched two years ago this week, Microsoft pitched it as a collaborative messaging environment that would compete with Slack. That foundation has been built up over time with closer ties to other Microsoft Office apps, such as Word or PowerPoint, services like Yammer and OneDrive, and now improved video chat features built upon the Skype technology. The ability to “ignore” a presenter creates this neat ghosting effect in Microsoft Teams. What this means to you: Microsoft said Tuesday that it has phased out Skype for Business on its own campus—as good sign as any that Skype for Business is dead. Instead, the future is a smarter Teams, and that's good. But there are tougher questions ahead, such as whether Microsoft will implement its Data Loss Prevention tool to sniff out confidential conversations. Teams’ smart backgrounds and new whiteboarding features share some common technology—namely, Microsoft’s ability to use the cloud to recognize the most important element of the scene: you. Previously, the background blurring feature left the background in place, letting participants wonder at what that vague pile of stuff behind you might be. Now you can remove that entirely, selecting a generic custom background instead. Another new feature for Teams is the ability to add a secondary camera for whiteboarding. 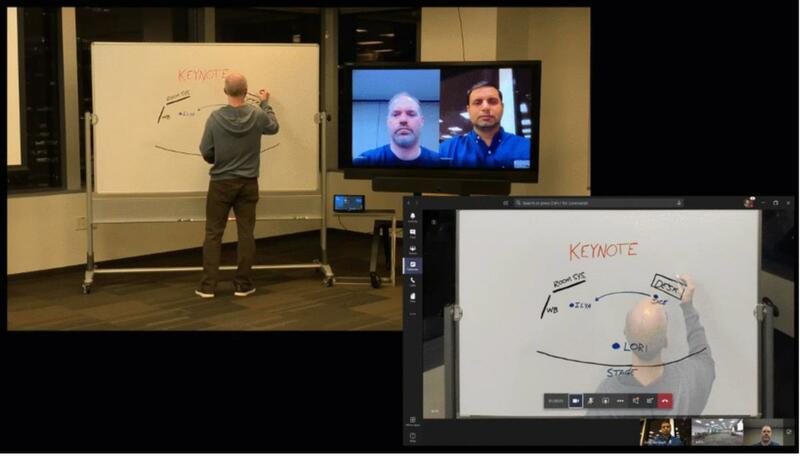 Content drawn on physical whiteboards can be captured and brought into the virtual space, using the Office Lens technology Microsoft pioneered for the phone. (Microsoft already has a virtual whiteboard, called Whiteboard, that remote and in-office users can use.) And—flipping the smart background tech on its head—Microsoft can use object recognition to cut whoever is drawing on the whiteboard almost out of the scene, replacing them with a “ghost” and letting the content itself shine through. Microsoft said that it will roll out the custom backgrounds later this year, alongside the intelligent whiteboard cameras. The virtual Whiteboard is already in public preview. Smaller features being added include live captions and subtitles, and secured private channels. One technology to watch is Data Loss Prevention, Microsoft's tool for preventing information from leaking outside of corporate walls. DLP is currently available in all Office 365 and Microsoft 365 plans that include what Microsoft calls Office 365 Advanced Compliance. It can screen for sensitive information in chats and channel conversations, but not in actual speech. Given that Microsoft touts its ability to perform real-time transcription and translation services, it's reasonable to expect that capability to arrive before long in video calls.